Pastor Adrian is from Richmond, Virginia and went to college in Quincy, Massachusetts where he met Lauren, his beautiful wife. They moved to the Valley in 2008 and have called HFCN home ever since. 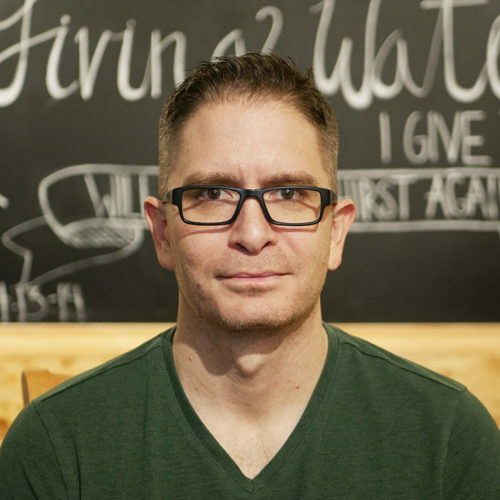 He served first as Youth Pastor, then Executive Pastor, before taking on the role as Lead Pastor in July 2018. Adrian and Lauren have for incredible kids. He loves Jesus and has a strong disdain for tapioca pudding. Pastor Carolyn grew up in Staunton, Virginia. She began attending HFCN in 2002 with her husband, Herb. She and Herb have a puppy, as well as numerous nieces and nephews that are a huge part of their life. Carolyn holds her District Ministerial License on the Virginia District of the Church of the Nazarene. She is also a licensed Therapist. She enjoys hiking with family and friends, and she also enjoys the beach. For her, any day outdoors in God’s creation is a gift! Julie is a graduate of Eastern Nazarene College where she studied Religion. 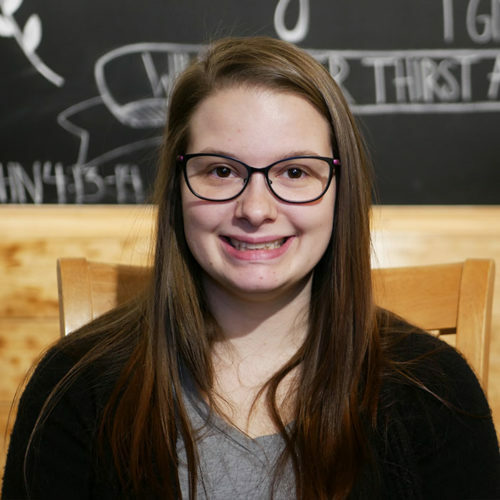 She moved from Moultonborough, New Hampshire to the Shenandoah Valley in the Fall of 2016 to join the staff at HFCN. She has three older siblings and three precious nephews, with whom she enjoys spending a lot of time. Some of her favorite things include her dog (Roxy), hiking, Dunkin’ Donuts, and stuffed crust pizza. She also adores children and feels blessed to have the opportunity to serve as children’s pastor. Pastor Roger and his wife Vickie are originally from Harrisonburg, but moved to Washington/Arkansas after his graduation from VA Tech. to work as a Forester. He accepted Jesus in a small Nazarene church in Arkansas in 1980. They returned to Virginia, and HFCN has been their home church since 1988. Roger joined the pastoral staff in 2003 and was ordained in 2010. 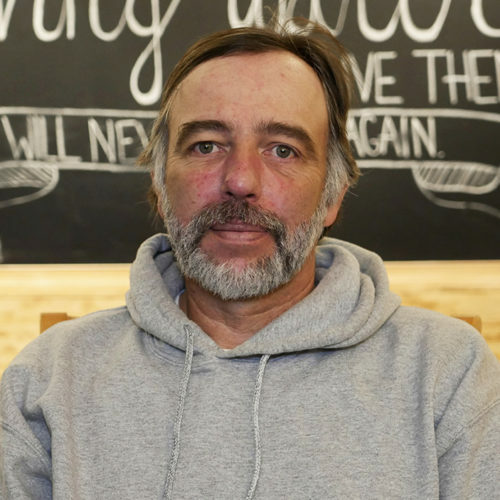 When asked to share a silly tidbit, Roger shared that he does not wear a tie, enjoys Civil War History, and has one English Springer Spaniel named Millie. Vickie spent her childhood in Virginia, but after marrying her husband Roger, they spent time in Washington state and Arkansas. They began attending HFCN in 1988 with Vickie joining the staff in 2007. Vickie loves to travel, with her favorite spot being anywhere there are mountains. Pastor Jim is a native of Mobile, Alabama. Jim met his wife, Deb, in Bible college. In 1995 they started attending HFCN, and Jim joined the pastoral staff in 1997. They have three children; Stephen (Sarah), Bethany (Garret) and Sarah (Stuart), and five grandchildren. 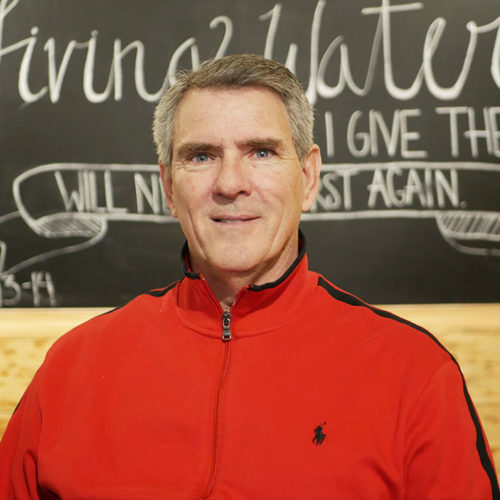 Pastor John grew up in Elkton, VA, has lived here in the valley most of his life, and he joined the HFCN staff in 2017. He is married to Mandy, and they have one son, Paul. 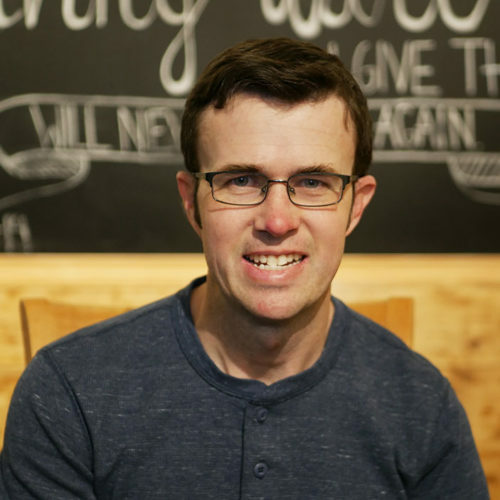 John graduated from Nazarene Bible College in Colorado Springs, CO and spent his first 10 years in ministry in Lynchburg, VA. John enjoys music and film. He loves to spend his spare time with family/friends or on his bike. 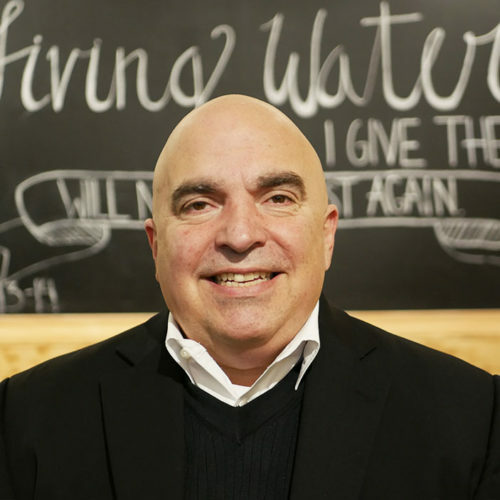 Pastor Billy was born and raised in Greenup, Kentucky where he attended a small Nazarene church his entire life. Pastor Billy came to James Madison University to play baseball in 2009. He has attended HFCN since he arrived in Harrisonburg. A graduate of JMU, he came on staff in 2013. He is married to Hillary and they have a daughter, Ella. One of his favorite Disney movies is “Peter Pan”, because he said that in his heart he has never wanted to grow up. 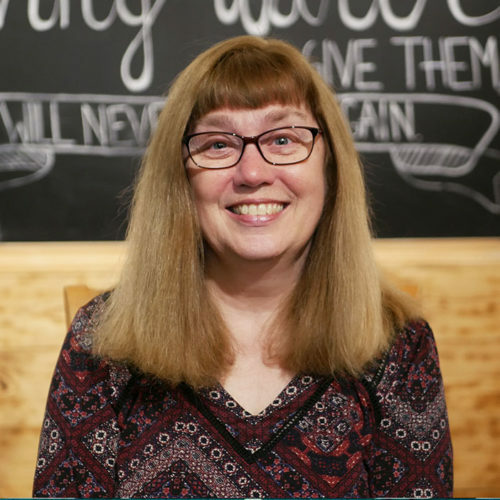 Pastor Margaret was born and raised in Dayton, Virginia in the midst of a horse and buggy community. 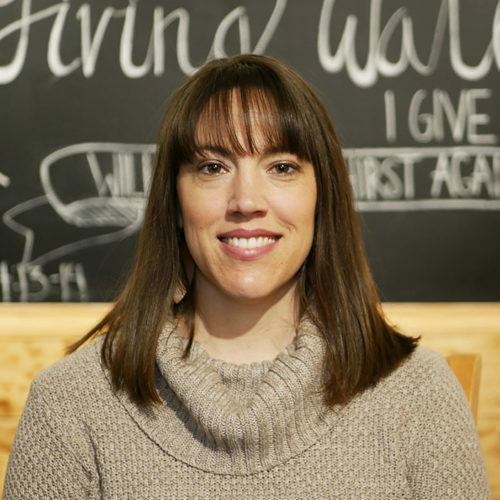 She began attending HFCN in 1995 and joined the pastoral team in 2007. Margaret and her husband Steve have two daughters, Sydney (married to Adam), and Olivia. When asked what she dreamed of doing as a child, Margaret says she remembers lining up her dolls in the staircase of her home and preaching to them. She was born into a family of coffee lovers and she does her part in upholding that family tradition. Olivia grew up in Mount Crawford with her incredible parents and sister. 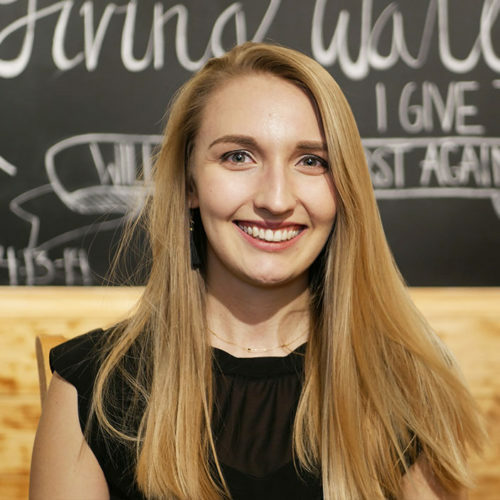 She graduated from Eastern Nazarene College in 2017 where she studied Business and Religion. 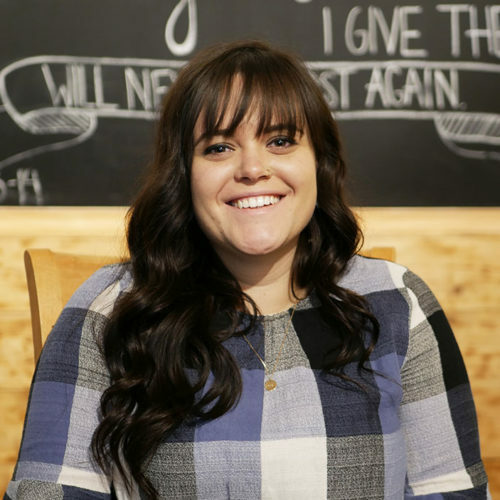 She moved back to the valley after graduation and joined the HFCN staff that Spring. 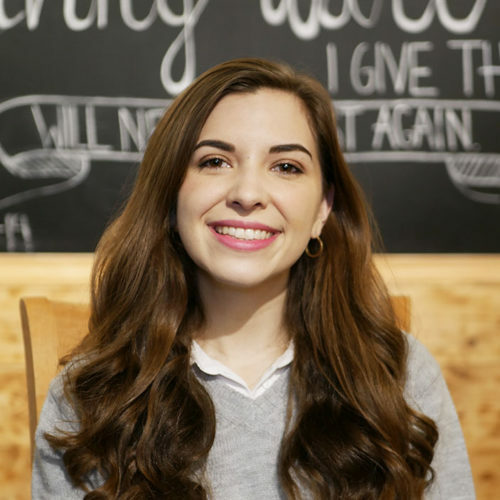 She loves working with students, eating ice cream with her friends, and she believes that everything can be done while drinking a good, strong cup of coffee. Pastor Sam is originally from Puerto Rico and came to Harrisonburg to join the HFCN staff in 2002. He and his wife, Debbie, have four children, Kailie, Amanda, Joshua and Gabriel. They are also the proud grandparents to two granddaughter, Emmaline Rose and Bret Grace. If Pastor Sam could choose any superpower, he would want to teleport. That way he could be at any place at any time. 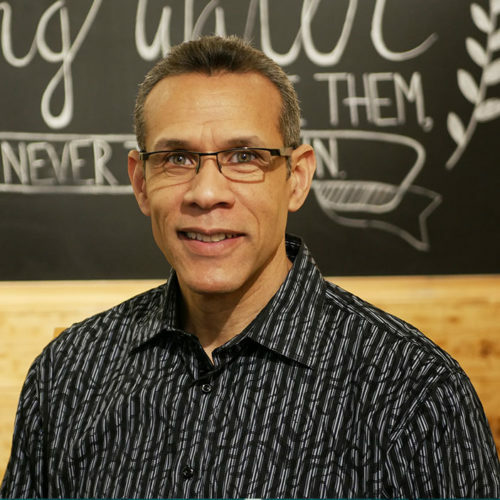 Pastor Joe called York, Pennsylvania home before eventually making his way to Harrisonburg in 1995 to join the staff at HFCN. He and his wife, Christy, have four children, Miranda, Brandon, Katelyn, and Benjamin. His favorite ice cream flavor is chocolate chip cookie dough. 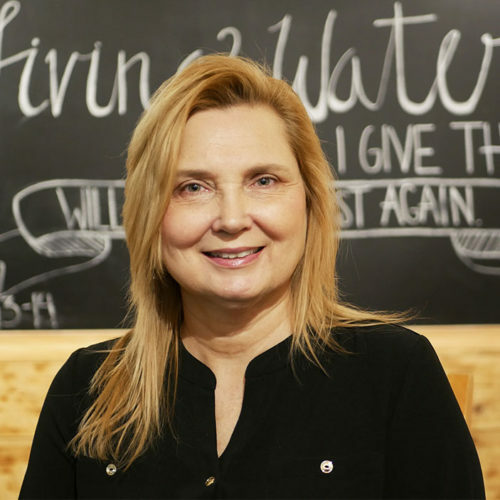 Terry grew up in Elkton, VA. She relocated to Tampa, Florida in 1988 where she encountered Jesus! She returned home to Elkton, VA in June 1999. 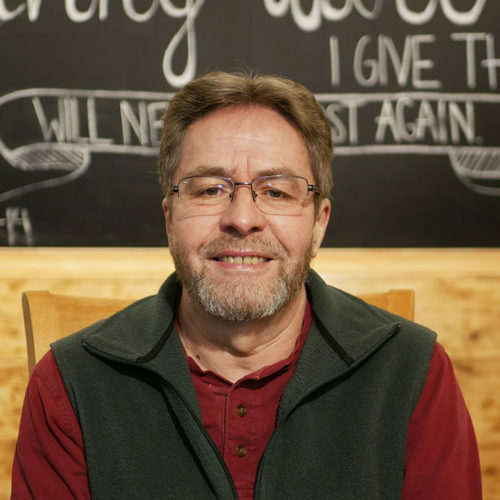 Terry is an ordained minister in the Church of the Nazarene and joined the HFCN staff in 2018. She has been employed at Wingfield Ministries/Victory Weekend since 2003 where she serves as Administrative Manager and Director of Development. A tremendous fervor burns inside her soul to share God’s love and Good News with everyone she meets. She is called to be a watchman through Compassionate Evangelism to Shepherd all ages from all walks of life as Ezekiel was called in Chapter 3. She currently preaches/teaches at the Rockingham County Jail to the ladies, and women are accepting Jesus as Lord! Terry also does ministry at Middle River Jail and other prisons. She leads a Friday Night Life Group to all ages and individuals are growing deep in their relationship with Christ. Terry is married to her best friend, Thomas. They enjoy riding bikes, hiking, and camping. Eyde is originally from Buena Vista and moved to Rockingham County with her husband Walt in 2001. They are now proud to call the Shenandoah Valley home. Eyde and Walt have a daughter Leslie who now lives in Austin, TX. Eyde graduated from Radford University and the University of Virginia, she is a Wahoo through and through. She has taken early retirement from her first career, and is now enjoying being part of the HFCN staff. Her passions are Operation Christmas Child, New Creation, and helping the people in Paraguay. Arielle grew up in Elkton, Virginia and has lived in Virginia her entire life. 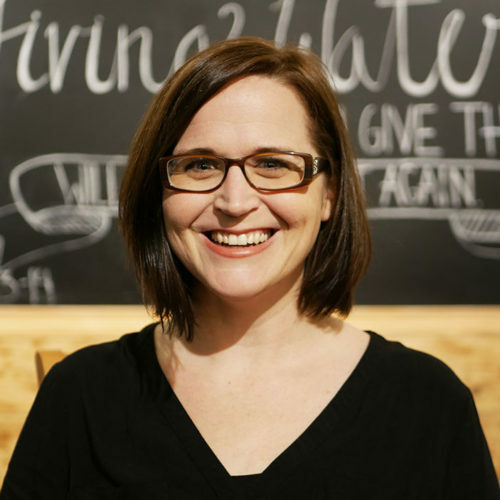 She joined the HFCN team in 2017. Arielle has a son named Remington and she loves to spend her spare time with family and friends! 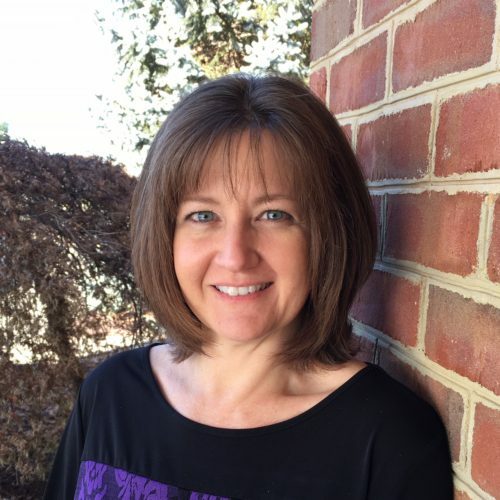 Kim was born in Fairfax County and later came to Harrisonburg and began attending HFCN in 1998. Kim has been in either a volunteer or paid staff position since 2003. She is married to Mike, and they have three children, Michael, Krystal and Bethany. If she could be any animal, Kim would choose to be a koala bear. Aubrey grew up attending HFCN with her incredible parents and sister. 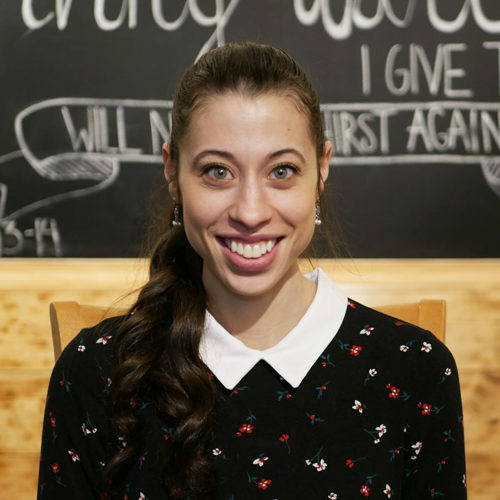 She graduated with a Psychology degree from Asbury University in 2017, where her call to ministry began. She loves her 3D students, leading worship, and working with all of the creative aspects of communications here at the church. Aubrey enjoys horses, writing music, watching TV with her roommates, and late night baking. 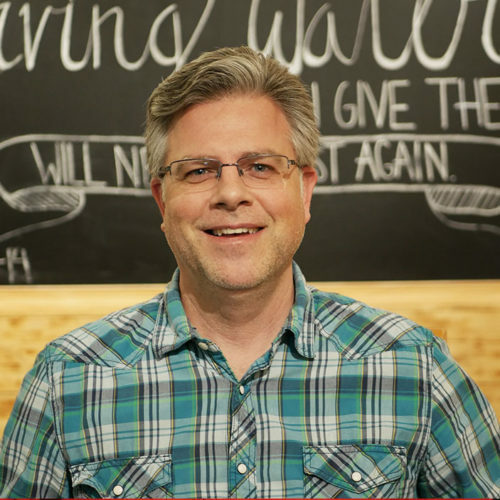 Dr. Brian Charette is the part-time assistant to our Lead Pastor, working with church planning, organization and services. He also preaches occasionally on Sunday morning – one of his favorite things to do! Brian and his family have been involved at HFCN for many years. His wife Pam is a member of the church board and daughter Aubrey is a key part of our church staff. Their daughter Suzanne was raised in HFCN and currently lives and works in Northern Virginia. 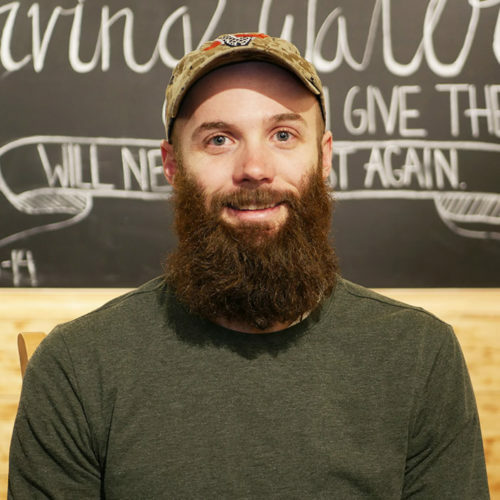 Brian served in the US Marine Corps and works full-time at James Madison University. Daryl is from Harrisonburg and began attending HFCN in 1997. He later joined the staff in 2003. He is married to Margaret, and has three children, Matthew, Wesley and Jashelle. Kristy grew up in Mt. Sidney, Virginia. After moving away for college, she came back to the Valley where she would later begin attending HFCN in 2003. Later that same year she would join the HFCN staff. Kristy is married to Rob and has two children, Courtney and Nicholas, and two stepdaughters, Chandler and Cadence. 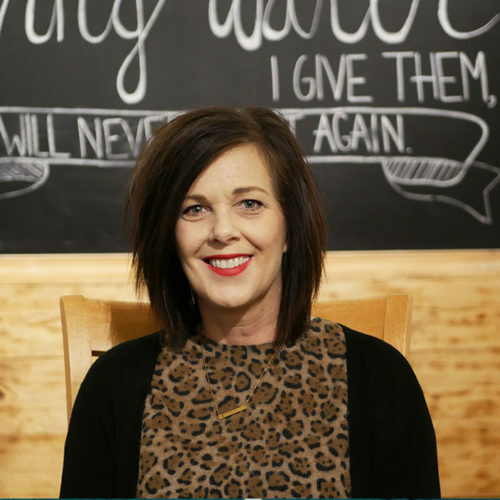 Heidi was born in Florida and raised in a pastor’s home, learning young about the work of those called to be Christ followers at home and abroad. She has been married for over 30 years to a precious man that supports the dreams God has placed in her heart. Heidi and Doug have two children, Alex and Gentry, both graduates from college, as well as a daughter-in-law Hayley and son-in-law Blake. 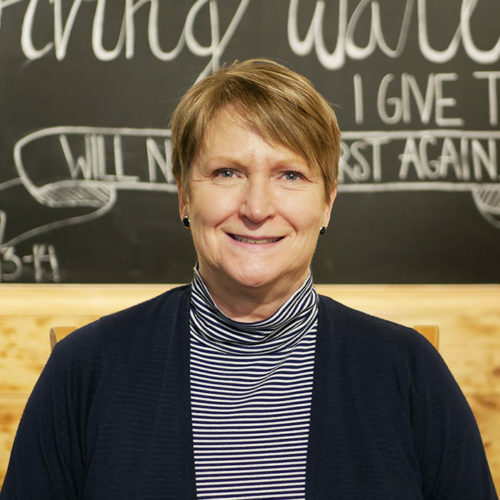 Heidi has worked at HFCN since 1999 starting with the after school/pre-school program then moving on to youth and now with missions local and international. 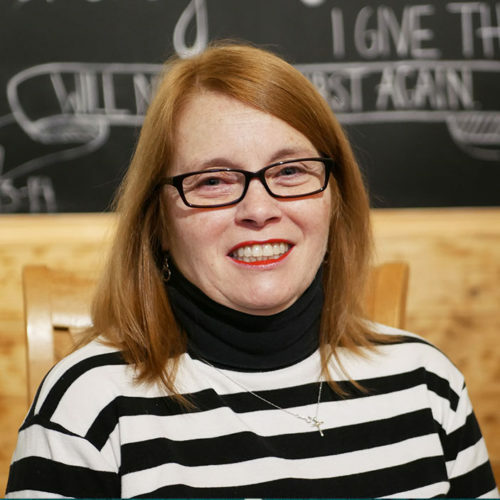 Heidi believes God has allowed her to have so she can give to those that do not. Sarah grew up in Northern Virginia and graduated from James Madison University with a degree in Theatre. She lived in Ohio for 8 years before moving to the Shenandoah Valley. She started working at HFCN in 2017. She has two awesome kids (Frank and Molly), two adorable cats (Spark and Smokey), two big turtles (Tina and Rachel), and one phenomenal husband (Gary) whom she calls Kermit. 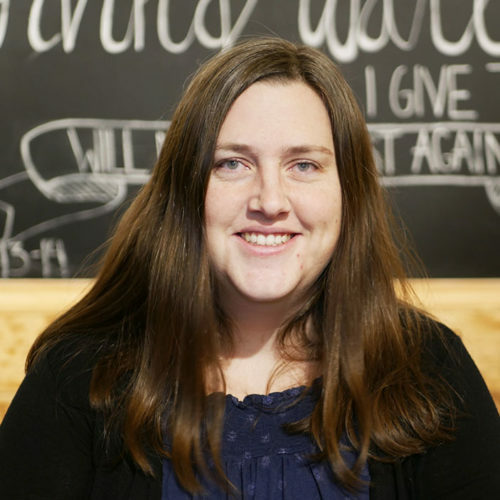 Mandy grew up in Harrisonburg and attended HFCN with her family. She met Pastor John here and they were married in March of 2002. They moved to Colorado Springs, CO in 2004 and then to Lynchburg, VA in 2007. Their son, Paul, was born in 2009. Excited to be back home in the valley, Mandy joined the HFCN staff in 2017. Her favorite things are spending with her family and friends, music and her plants. 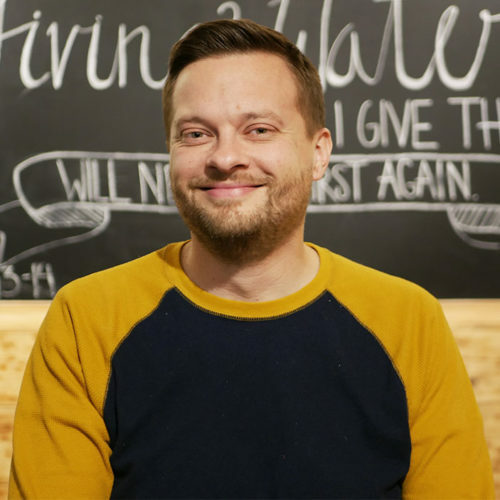 Jared grew up at HFCN and joined the HFCN staff in 2017. Jared is pursuing a call to ministry and is certainly already ministering in a big way here in the valley. He enjoys fishing and spending time with his wife, Ashlea. Felicidad is originally from the Republic of Panama. 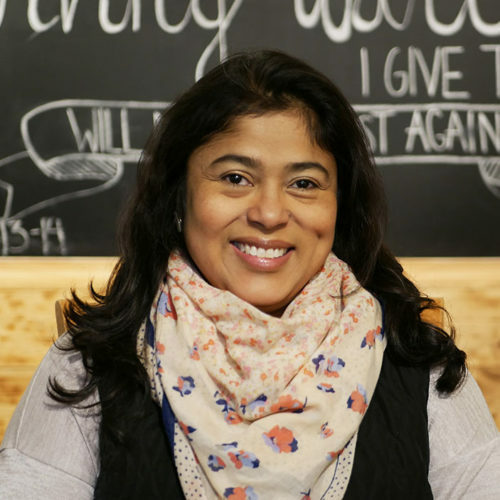 After moving to the United States, she would eventually relocate to Harrisonburg in 2002. In 2003 she started attending HFCN and immediately found a home and got very involved. In 2007 Felicidad joined the HFCN staff. Her three sons are Brandon-Lee, Christian Dante, and Orion Antonio. In 2011, Felicidad and Mr. Alberto Martinez were united in holy matrimony. Alberto has a beautiful daughter, Rebeca. Amanda is originally from San Juan, Puerto Rico and has been part of our church since 2002. She has been a vocalist in various worship groups for the past 12 years. She enjoys using her gifts for praising God in every moment, and always brings a message of positivity and hope to those around her. She also enjoys baking, and investing in our local youth. Her love for traveling the world has taken her to numerous different countries where she has had the opportunity to serve other communities and enrich her own cultural experience. 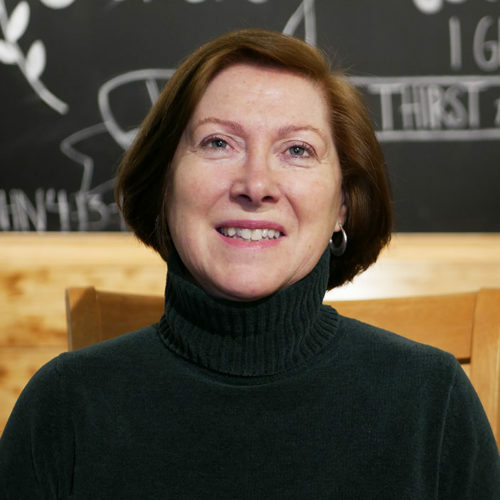 Kathy was born in Staunton, VA and currently lives in Bridgewater. She and her family began attending HFCN in 2002, where Kathy would later join the staff in 2008. She and her husband, Drew, have two girls, Ginny and Emily and a puppy dog named Panda. 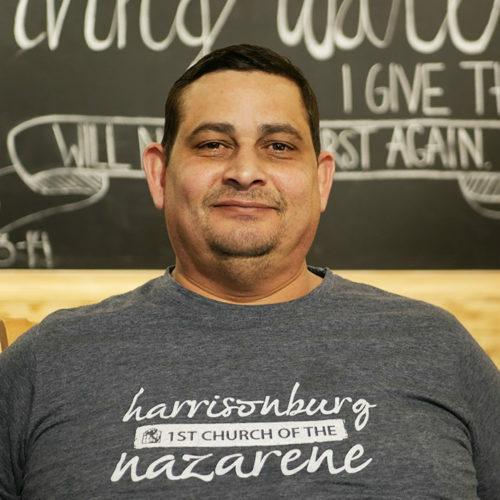 Drew is an ordained Nazarene Pastor and he, along with his family, has planted a “daughter church” from Harrisonburg First in Verona, VA, Living Stone Church of the Nazarene. 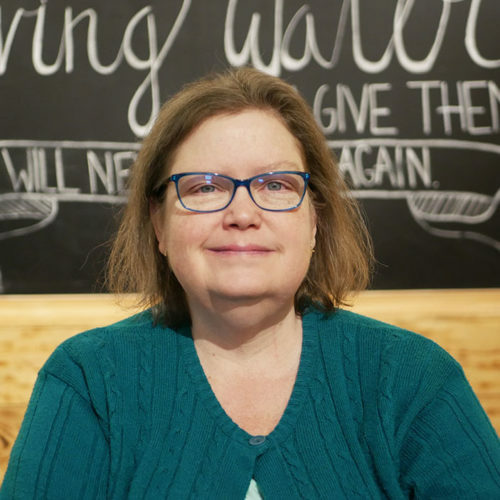 Kathy enjoys reading, cross-stitching, crocheting and has recently learned to quilt. Angela has called the Shenandoah Valley home for her entire life. 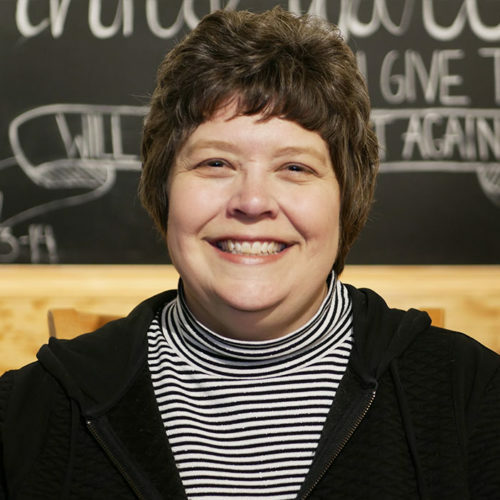 She began serving at HFCN in 1996. She is married to Steve, and they have two boys, Blake and Shane. Christy joined the HFCN staff in 1995. She serves as the Music Assistant to the Worship Pastor and the Musical/Drama Director. Rene is from Ponce, Puerto Rico and moved to Harrisonburg in 1999. He joined the staff at HFCN in 2007, where he has been ever since. He has a son, Anthony, who lives in Puerto Rico. Grayson was born in Beaufort, North Carolina. He has attended HFCN since 1994 and began working on staff for HFCN in 2011. 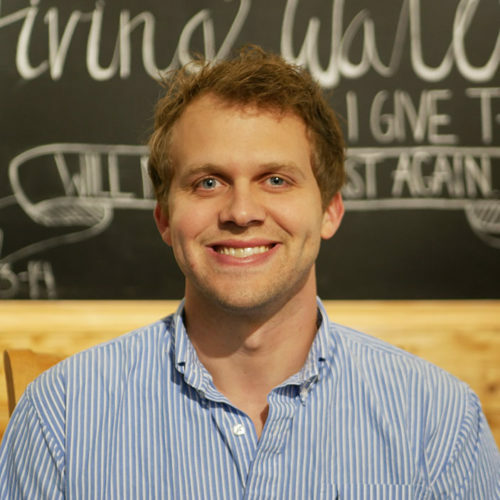 Grayson graduated from Mount Vernon Nazarene University in the Spring of 2009 with a degree in Broadcasting. One of his favorite childhood memories is going to Atlanta Braves baseball games with his dad.